Pulsed ElectroMagnetic Field Therapy using the Omnium1 PEMF Mat is critical in helping to reverse the damages caused by ElectroSmog. The Mat uses the frequencies of nature, which relaxes you and puts you in balance – within 8 minutes!! The PEMF frequencies REVERSE the damaging, artificially produced electrical and magnetic frequencies. I have personally been exposed intensely to ElectroSmog without knowing it for 30 or 40 years. I have worked on computers, often 10 hours a day, for decades. 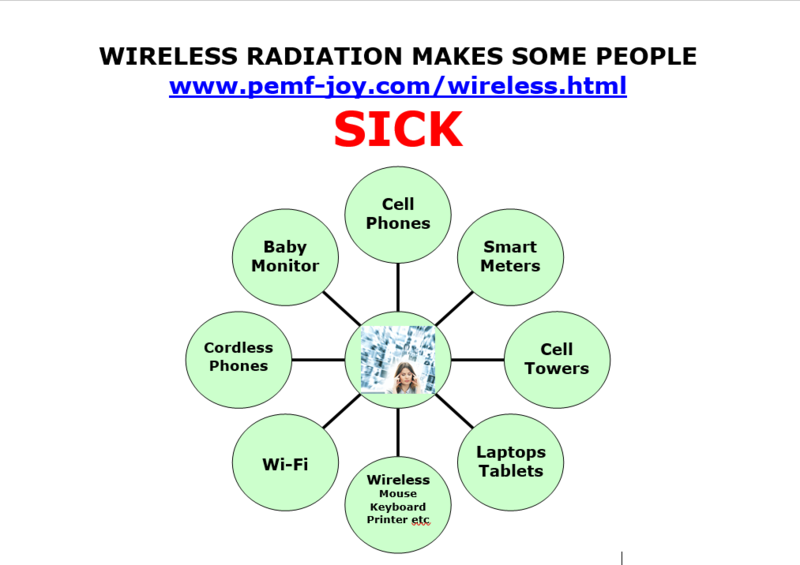 It’s amazing I haven’t had more cell damage based on the amount of ElectroMagnetic Pollution I have been exposed to. Artificially produced, modern-day, Electrical and Magnetic Fields are deadly. PEMF is the answer! Pulsed ElectroMagnetic Field Therapy represents “good” electrical and magnetic fields, based on NASA studies and science. 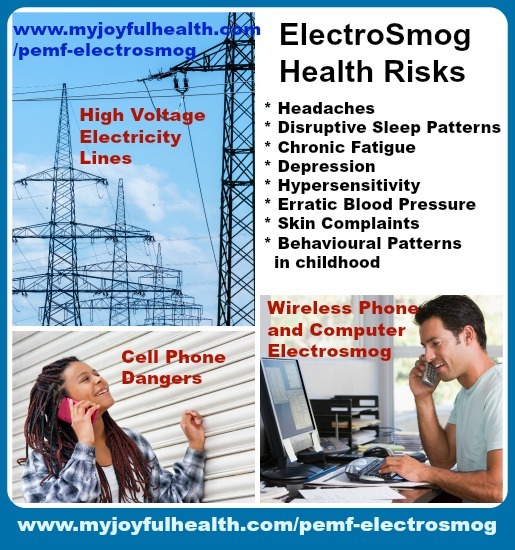 Here is a video that explains ElectroSmog and the damage it can cause even on the level of our blood! Video by Dr. Magda Havas, Trent University, Peterborough, Ontario, Canada. Blood on a slide. Under microscope, what I found – cells are round, some are separate and a few are sticking together. Overall, healthy-looking blood. I then worked on a computer for 70 minutes and looked at my blood again. This time the cells are sticking together like stacked coins. This is called Rouleaux formation. DEFINITION: Rouleaux formation in a peripheral blood smear from a patient with plasma cell myeloma. Rouleaux (singular is rouleau) are stacks or aggregations of red blood cells (RBCs) which form because of the unique discoid shape of the cells in vertebrates. Later that day I used a cordless phone for 10 minutes and looked at my blood again. This is what I saw: Very unhealthy looking blood. There are virtually no single cells. A doctor told me this is what she sees with cancer patients. What I learned is that my blood goes into Rouleaux formation when I use a computer or a mobile phone. This type of clumping interferes with the release of oxygen and the removal of waste products like carbon dioxide. Consequences: Poor circulation resulting in lower oxygen transport to cells and reduced waste removal. * and possibility of heart and blood pressure problems, including risk of stroke. PEMF and ElectroSmog – Opposites. Research shows that between 3% and 5% of the general population could be ES sufferers. In Sweden, for example, 285, 000 people (over 3% of the population) are registered as ES and claim disability benefit from the government. I have learned so much, and gained so much more Joy, Peace and Balance through having my Ommmmmmni Mat in my home. The technology is based on NASA Science, and pulses the healing frequencies of nature to us. I haven’t found anything like it. Join our PEMF Joyful Health newsletter and you’ll get instant access to a lot more valuable information created exclusively for you!